Our Fully Equipped Fleet Is Ready For You! Over 35 years of honesty and integrity in the appliance industry. Make sure your appliances are serviced with factory certified parts. Do You Need To Schedule A Diagnosis? 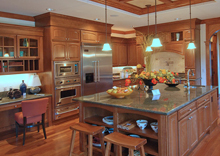 Paul’s Certified Appliance can solve any of your kitchen appliance problems. From Refrigerators and dishwashers, to ovens and coffee systems, we service them all. See below for some common maintenance and repairs needed in the kitchen. As with any appliance, keeping your washer and dryer clean will help extend its life, as well as the life of any repairs that are made. Be sure to follow the manufacturer’s recommendations and never overload the appliances. Paul’s Certified Appliance knows how important having a working outdoor kitchen can be to spending quality time entertaining family and friends. 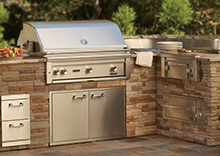 Make sure your outdoor kitchen appliances are maintained by a certified appliance company. 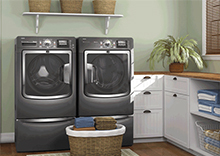 If you are experiencing a problem with your appliance, DON'T WAIT TO GET A DIAGNOSIS!